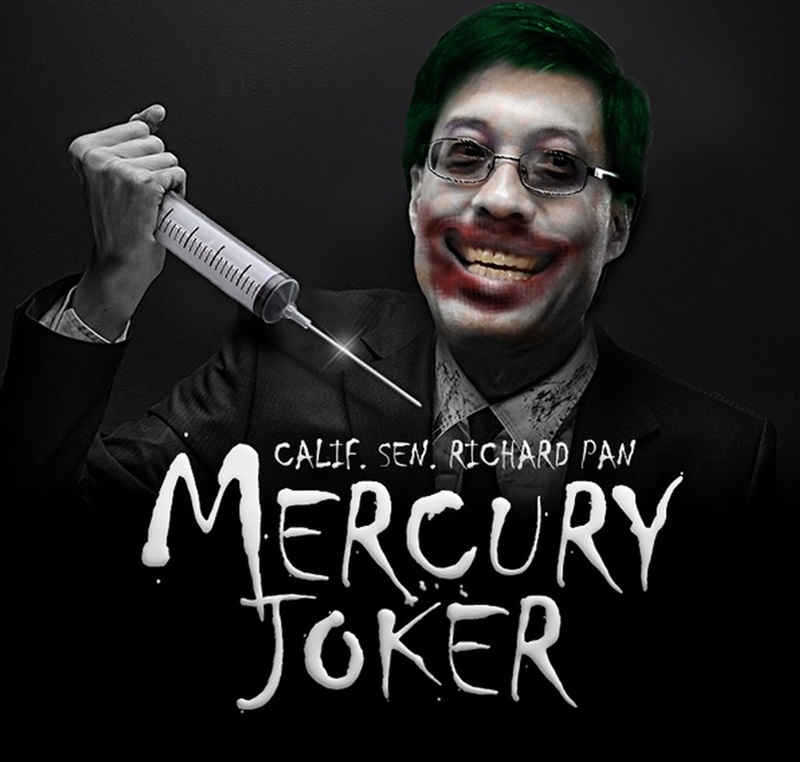 California state senator Richard Pan just can’t stop lying about vaccines. Two years ago, he was caught blatantly lying about mercury in vaccines, attempting to push the blatantly false, anti-science fiction that mercury is somehow safe to inject into children. Now, he’s been caught on video, falsely claiming that aborted human fetal tissue cell lines are not used in vaccines when even the CDC list them prominently in the excipients (ingredients) lists for multiple vaccines (see list below). Again, see this list for yourself at this CDC.gov link. If the CDC removes it, we’ve saved a copy at this Natural News link. This means that every parent giving their child a chicken pox vaccine is injecting their child with cell lines originally harvested from aborted human fetuses. This is not a debate. This is not a conspiracy theory. This is established, admitted FACT that’s DENIED by vaccine pushers. Isn’t it fascinating how anyone who cites a CDC document and points out that vaccines contain African Green Monkey kidney cells or aborted human fetal tissue cell lines is immediately branded a “conspiracy theorist” even when they are irrefutably, factually correct? That’s the tactic of the lying, dishonest vaccine industry: Fill vaccines with the most grotesque, unclean and disease infested ingredients imaginable, then count on the fact that nobody will believe it when these facts are pointed out. Thus is not a conspiracy theory. It’s a confirmed fact. But it’s a fact that Richard Pan and other medical child molesters refuse to publicly admit to because they know if the truth came out, parents would go berserk over the fact that their children have been injected with abortion harvested human fetal tissue cell lines (and other bizarre ingredients) year after year, all while the vaccine industry has absolute legal immunity from all the damage caused by their defective products. First of all, vaccines are not made from aborted fetal cells. That, unfortunately, is a myth… A couple of the vaccines, Rubella vaccine, there was use of fetal tissue to develop the original Rubella vaccination, but the continuing production of those vaccines do not involve aborted fetal cells. While Richard Pan says vaccines don’t contain aborted fetal cell lines, the CDC says they do. This means Richard Pan is either medically incompetent or a pathological liar. Either way, he is a clear and present danger to the children of California.